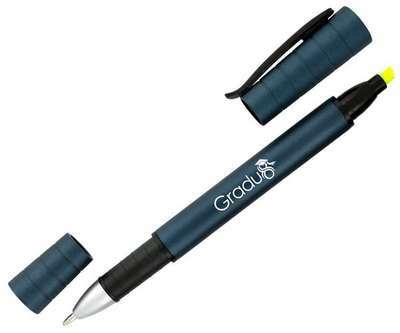 This Expo highlighter pen features a plastic barrel in your choice of color and a removable cap. 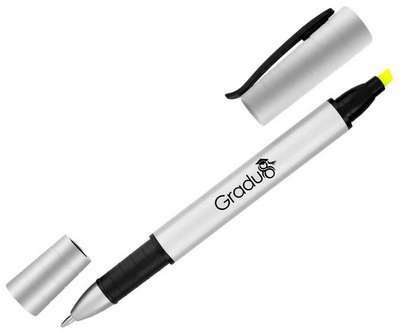 The Empire Expo Highlighter Pen is a class act and a makes for a lovely souvenir with your branding. 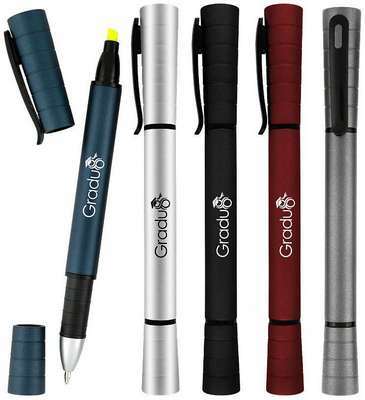 This pen is available in 4 amazing colors on the plastic barrel. It flaunts a matching cap for the pen and highlighter for style and looks. The black clip and trim add to its much desired elegance and ease of carrying. The silver accents magnify its beauty and style. The Highlighter comes in yellow ink option alone and greatly helps in noting down or highlighting important texts or information.